How's this for a postseason debut? 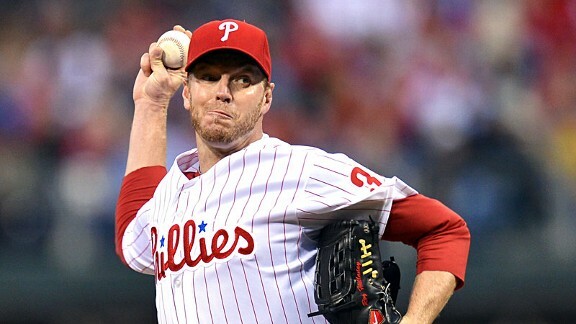 Against the Reds in 2010, Halladay joined Don Larsen as the only pitchers to throw a no-hitter in a playoff game. A two-time Cy Young Award winner, Doc has a career mark of 203-105 with a 3.38 ERA. The right-hander with the compact and fluid delivery has pitched 200 innings or more eight times.